Located in the sought after area of Two Mile Ash and in catchment area of OUTSTANDING OFSTED Schools is the well presented four bedroom family home. 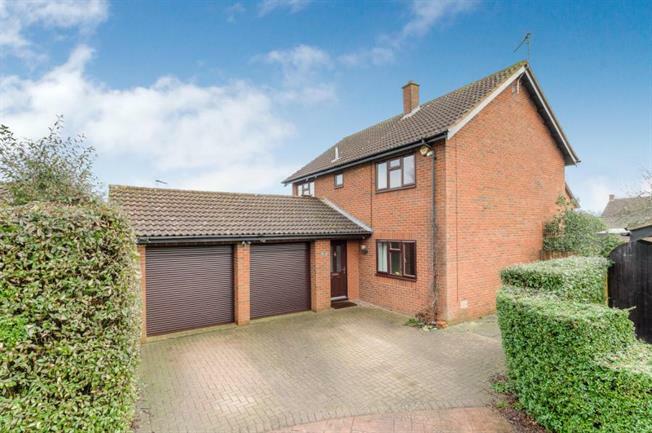 Positioned at the end of this quiet cul-de-sac the house is within easy reach of local amenities and a short drive to Central Milton Keynes with its huge array of shops and entertainment. The house has a lovely bright entrance hall with doors leading to all rooms. The lounge has a beautiful open fire perfect for those cosy nights in and doors leading to the garden. The kitchen has low and high level cupboards, double oven and space for a dishwasher and fridge. Adjacent is the utility area with side door leading to the garden. The dining area again is very bright with the added bonus of a conservatory with Thomas Sanderson Blinds. Upstairs are four bedrooms with the Master bedroom benefitting from a newly refurbished en suite. The family bathroom has also been recently updated as well. Outside is a south west facing rear garden laid to lawn and block paved area. The front has a double garage with electric fob operated doors and parking for two vehicles. A viewing is strongly recommended to appreciate the location of the beautiful family home.